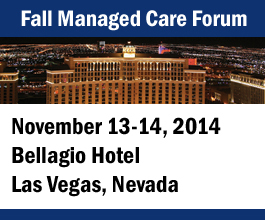 The Fall Forum will be held November, 12-13, 2014 at the Bellagio Resort in Las Vegas, Nevada for medical directors, nurses and administrators. Data mining is digging into your health. Actuaries predict your life span. Banks track your spending habits. Now, your employer can tell whether you'll have diabetes a year from now. And the federal government is encouraging businesses to use that information to tell you how to eat and exercise, to "data mine" for your own good and the employer’s bottom line. Did you sign up for health insurance through the Health Insurance Marketplace? If so, it might be time for a mid-year checkup — of the financial sort. Beginning this year, if you get your health insurance coverage through the Health Insurance Marketplace, you may be eligible for the premium tax credit. I would rather talk about progestins than politics almost any day of the week — they are far more predictable and cause less constipation and nausea. But the recent decision by the Supreme Court concerning Hobby Lobby and whether they have the right to not cover certain specific types of contraception has gotten so much attention from the media that silence seems almost sinful. Progestins and politics have come together. As a pharmacist and U.S. citizen, I suppose it is incumbent upon me to say something. Strong leadership, reliable healthcare coordination, and first-rate information technology are key for academic medical centers seeking to establish successful accountable care organizations, according to a Johns Hopkins Medicine study published in the journal Academic Medicine. Data analytics are a necessary ingredient for insurers creating accountable care organizations because they're key to helping providers improve the quality of care they deliver to ACO participants. Salt Lake City-based Intermountain Healthcare collects data from its clinical and financial systems to create "data marts" that focus on certain areas of analysis, reported Health Data Management. The U.S. Food and Drug Administration has called an advisory committee meeting on Sept. 17, to discuss the adverse cardiovascular outcomes with the usage of testosterone replacement therapy. The FDA has called for a joint meeting of the bone, reproductive and urologic drugs advisory committee and the drug safety and risk management advisory committee. Boehringer Ingelheim's treatment for a rare and deadly lung disease picked up the FDA's coveted breakthrough therapy designation, a mark that guarantees a speedy regulatory review and could help the company beat its nearest rival to market. The drug, dubbed nintedanib, is a therapy for idiopathic pulmonary fibrosis, an often fatal disease that scars the lungs and stands in the way of oxygen absorption. A powerful new technology could be used to manipulate nature by “editing” the genes of organisms in the wild, enabling researchers to block mosquitoes’ ability to spread malaria, for example, or to make weeds more vulnerable to pesticides, Harvard scientists said. A team of researchers from the University of Wisconsin have identified 46 genes in Escherichia coli that are necessary for its survival at exceptionally high levels of radiation. The paper appears ahead of print in the Journal of Bacteriology. "The research has revealed new pathways of cellular self-repair, including DNA pathways that in humans that may help protect us from cancer," says corresponding author Michael M. Cox. New research sheds light on autism as scientists discover most of the genetic risk for the disorder comes from versions of genes that are common in the population rather than from rare variants or spontaneous mutations. In the largest study of its kind to date, heritability outweighed other risk factors. Research has shown health benefits in the regular consumption of chocolate. However, it depends on the chocolate. The sugary, fat-imbibed cocoa confection most often consumed is far different than the cacao bean drink used for medicinal purposes in ancient cultures. But if the sugar is limited and the milk omitted, a dose of dark chocolate can be considered healthy. The earliest evidence of cacao consumption is estimated to be between 1400 and 1100 B.C. when Mayans and Aztecs used the beans in a drink for ceremonial and medicinal purposes. A new report offers good and bad news about the AIDS epidemic in the United States: The annual diagnosis rate of HIV, the virus that causes the disease, has dropped by one-third in the general population but has climbed among young gay and bisexual males. Data mining is digging into your health. Actuaries predict your life span. Banks track your spending habits. Now, your employer can tell whether you'll have diabetes a year from now. Few complaints about the U.S. healthcare system are as common as the claim that we spend too much on healthcare and get too little for all that spending in return — especially compared to other industrialized nations. One of the oft-repeated arguments in favor of the Affordable Care Act is that it will reduce people's need for more intensive care by increasing their access to preventive care. Could cat feces help cure cancer? With an estimated 1.6 million new cases of cancer to be diagnosed this year, finding a cure for the disease remains a top priority for many researchers. Now, investigators have looked to a parasite commonly found in cat feces — Toxoplasma gondii — to create a cancer vaccine. Scientists at the Salk Institute have identified a gene responsible for stopping the movement of cancer from the lungs to other parts of the body, indicating a new way to fight one of the world's deadliest cancers. By identifying the cause of this metastasis — which often happens quickly in lung cancer and results in a bleak survival rate — Salk scientists are able to explain why some tumors are more prone to spreading than others. Inside a cluttered downtown apartment that she shares with a cat, the 57-year-old woman is in the midst of a near-meltdown. "There's three of them," she tells two police officers, referring to "these predators who won't leave me alone." The police have been here before — 61 times, in fact, in the past 17 months — and the only intruders to be found are the ones apparently stalking the woman's troubled psyche. Depression may be source of disparities in the treatment men get for prostate cancer, according to a new study. In the analysis, older men who were depressed before they got a prostate cancer diagnosis were more likely to have aggressive cancer, less likely to undergo the recommended treatment for their stage and type of disease and more likely to die.